THE annual service of remembrance and celebration was held at Woking Crematorium last Sunday. A large number of visitors listened to a selection of poems and talks by the manager Valerie Dunster and celebrant Mary Morgan. There was also a male voice choir, a string quartet. 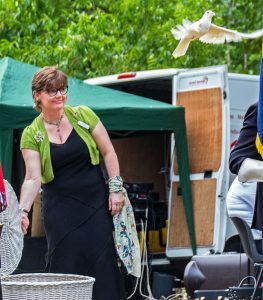 The event culminated in the release of a dove release.